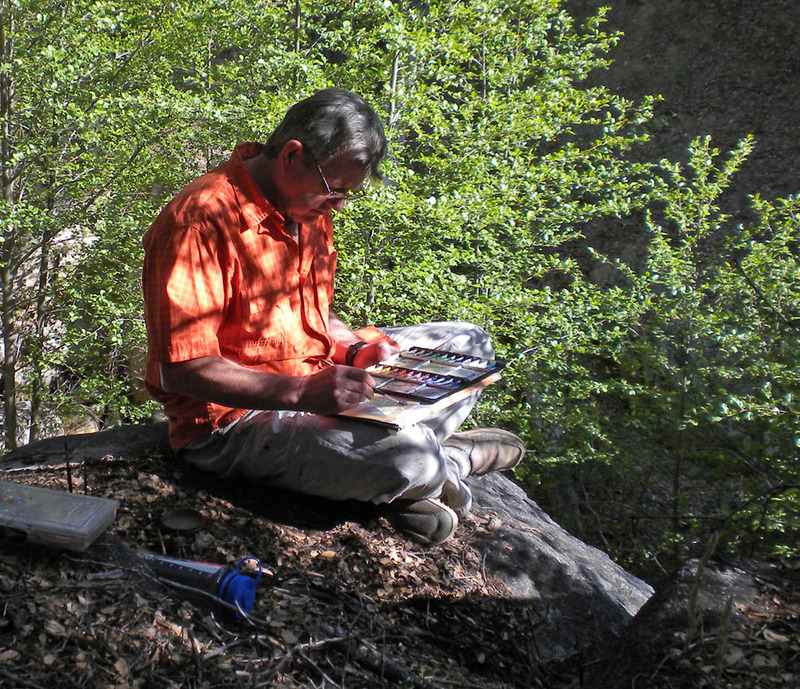 Watercolor painting as a life-long endeavor. Working in watercolor in the outdoors where the play of light, shade, and shadow change the atmosphere as you paint is always rewarding. Watercolor as a medium has so much to offer – its luminous quality, the range of possible techniques and style, the way it reacts to paper, the issue of timing your stroke work as the water evaporates. It is always challenging and always surprising. I strive to capture private moments, the secret and personal feeling of how beautiful this world is. Painting is a private and profound experience. 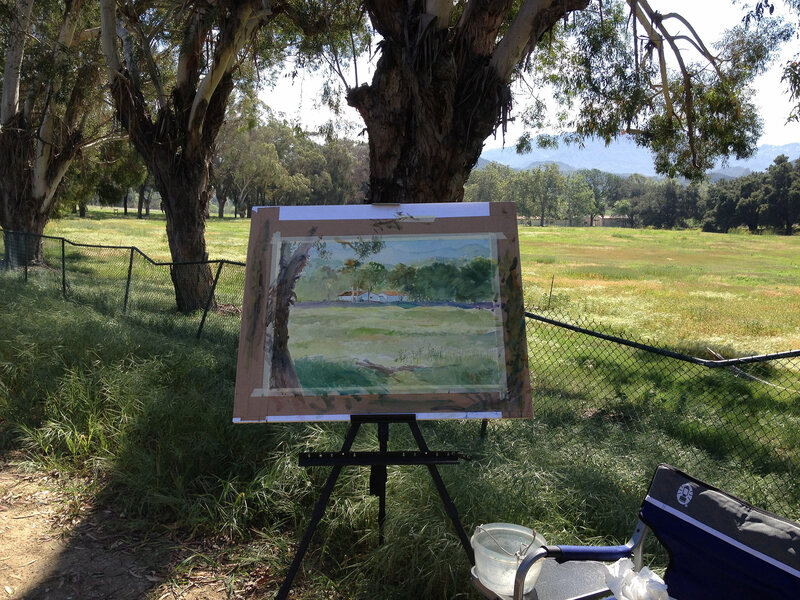 Watercolor painting at the Gilette estate in Los Virgenes. I was born in Kentucky and raised in Las Vegas, but Los Angeles is where I’ve lived most of my life. Drawing and painting have always been important to me. Inspired by the works of Edward Hopper and Andrew Wyeth, I started painting in watercolor at an early age. I was fortunate that my public school art teachers were excellent and I went on to study under a variety of great teachers at Otis Parson, UCLA, and in private workshops. It was natural that I would have a professional career as an architectural illustrator, a discipline that combines my love of buildings, landscape, and painting. I began this career with eight years in the studio of the great Carlos Diniz, who mentored me, fine-tuned my abilities and focused my attention on composition, perspective, drawing, and painting technique. I developed as an artist in his studio as we rendered and illustrated architectural projects around the world for some of the greatest architects of our time. Since 1994, I have continued to illustrate for great architects and developers worldwide from my own studio. In addition to painting and working as an architectural illustrator, I currently teach at the Animation Guild, LAAFA, and California Institute of the Arts.